Carole's Chatter: This ad is from 1959! This ad is from 1959! 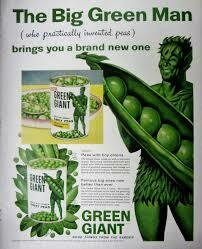 On our travels this spring we saw a statue of the Green Giant! I hadn't seen him for years, and now he keeps popping up!